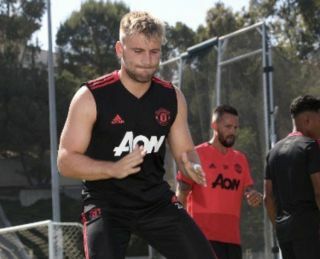 Manchester United left-back Luke Shaw looks fit and raring to go in his most recent Instagram photo from pre-season training with the first team squad. According to The Mirror, the-23-year-old has finished top of the club’s first fitness tests of the summer, which has surprised manager Jose Mourinho. Shaw has endured a somewhat fractured relationship with the Portuguese boss since he took over at the club, going back as recently as April when he criticised the defender’s intelligence on the pitch – as reported by The Telegraph. The England international has struggled with fitness issues since moving to Old Trafford in 2014 and only started 8 Premier League games last season. However, the Mirror’s report states that the United coaching staff has been floored by Shaw’s physical state in pre-season so far, which could mean the youngster is finally ready to push his way into Mourinho’s starting XI this coming year.